If I’m at a supermarket I buy the store brand. But I prefer to go around the corner to my local servo & pick up some Norco which is Australian made & owned. While I feel sorry for the dairy farmers, we can’t afford to be choosy as we go through lots and lots of milk, and thus must buy the cheapest available. Personally I think that no matter what milk you buy you are supporting the shop/supermarket. The major supermarkets determine pricing, profit margins, and how much money flows back to the co-operatives they buy from. The major supermarkets have demonstrated that their bottom lines are more important than supporting Australian producers. The co-operatives (largely overseas owned) in turn have shown that they don’t have many scruples about not paying fair prices to their members. So ultimately I don’t believe that our milk purchase choices make the slightest difference to the dairy farmers. Norco is one of the only brands that has an Australian co-operatives and is australian owned . I only buy norco and then I mix it up with the home brand so its not as expensive. Its very difficult otherwise to know where your money is going. I tend to buy UHT milk over fresh milk. The household consumes about 10L milk a week and UHT saves us running out. The real issue I believe (and from reading I have done) is the deregulation of the dairy industry a few decades ago and also many producers cashing in making a quick dollar by selling their shares in their local dairy co-op (which were taken over by the larger milk producers). Gate price milk is now driven by world prices, no differently than wheat, sugar, beef and other agricultural commodities. Australia can compete with the rest of the world with agricultural products from extensive agriculture where the input costs (e.g. labour) component is low (broad acre wheat for example), but will always struggle with intensive agricultural products where farm inputs are high (e.g. dairy which requires improved pastures, high fertiliser and electricity use, irrigation/water, labour etc) as many other countries in the world can produce cheaper than us. This poses a dilemma. As fresh milk products can’t be imported, should fresh milk be re-regulated (minimum price set like that which occurs for electricity) and manufacturing milk set at the world price? I am not sure about this as such may impact on Australia’s reputation as breaking down trade barriers and promoting free markets (like that which exists for milk). It could also be seen as a subsidy and result in trade barriers imposed by other countries which import and compete with Australian milk products. Should dairy farmers focus on value added products for the domestic market - such as producing yoghurts, flavoured drinks etc and leaving processed milk products (UHT, cheeses, powder) to the large multinationals. Maybe this would work as farmers could then sell excess production to the multinationals and supply higher value products to the domestic market, increasing their own returns and margins. This would require a significant cultural change with consumers who appear to be driven solely by price at any cost. There may be a consumer retaliation against these milk suppliers. It is also amazing that Australians buy bottled water (even though the tap water is some of the best in the world and equal to or better than bottled water) which is usually 2-3 times the price of milk. We seem to have our priorities in the wrong place. Don’t have the solution, but will continue to buy UHT in the medium term. I always buy, unhomoginised milk (organic if possible) which the supermarkets and big brands don’t supply anyway. I’m happy to pay more not only to support farmers but also to get a better quality milk. Judging by what I see at the supermarket checkout, most people’s food budget is spent on processed foods including breakfast cereal where most people use large amounts of milk. If you don’t buy them it gives you a lot more money to spend on fresh fruit, vegetables, eggs, meat and milk. It’s great there is a big appetite to support Australian farmers. It’s also great that in parts of Queensland and NSW if you buy Coles private label milk you are supporting Norco. In fact, last year Norco’s CEO credited the companies Coles contract as the reason for their unprecedented earnings growth. Maybe next time you won’t have to go around the corner to the local servo?! Thanks for joining the discussion. My family goes through lots of milk too and I’m quite happy to save a bit of money by purchasing a supermarket’s private label milk. There’s no need to feel sorry for farmers either as they get the same amount whether you by the supermarket’s private label or large processor’s branded product. I rang Norco to check & unfortunately the local servo is the only carrier of their milk in my neck of the woods on the NSW mid north coast. But they are working on getting more down here. That’s good news, they sound like a great Aussie company. about even for these two - organic certification and unhomogenised (or the least processed; I am yet to try the “pressure pasteurised” one), and the area/s the company sources. I don’t give a hoot about price, because this milk is very frequently on clearance anyway (because not many buy it I assume)! So very often I get it cheaper (per litre) than the supermarket brands! and it’s perfectly fine, as we use it quickly. I’m in Adelaide & I buy milk from Fleurieu Milk Co & Adelaide Hills Dairies - both small businesses supporting local dairy farmers. I buy the milk at Foodland supermarkets & my local fruit & veg shop. Costs a bit more but I’m happy to pay more to support local businesses. My favourite milk in Brisbane is Maleny Dairies Gold Top. Delicious milk and farmers get a fair price for their product. 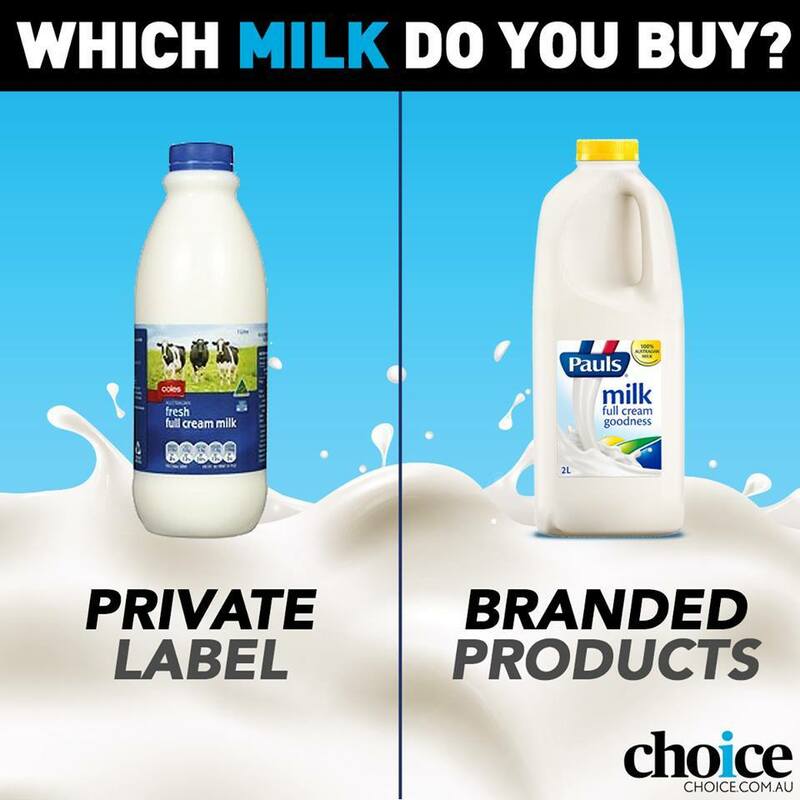 I try and support the farmers by avoiding the coles or wollies brands whenever I can, and go for dairy farmers branded. Although its often hard to know what the’ethical’ choice is, not being familiar with some brand origins. Here in Victoria, I’ve always bought Devondale, as it’s a Murray Goulburn company. I’ve since discovered that only 6% of MGs production is for domestic consumption. I don’t really know if it makes any difference to support Australian companies. Thanks for ‘demystifying’ some of the myths; which is not always well publicised. I usually buy 1 Litre Harvey Fresh every second day at the supermarket but I am not sure if I am helping the dairy farmers because the processors (they are the probem) have requested several Western Australian farmers to stop supplying surplus milk which is very distressing because there is no factory here to produce powdered milk and baby formulas which is in such strong demand by the Chinese. This is where we need to create jobs to build this factory and another thing is, we need to return to parity pricing to keep our precious dairy farmers operating in Australia NOT sold to the Chinese. I’m sorry to say, Rebecca, but choosing Dairy Farmers milk over Coles or Woolworths milk doesn’t help your local farmers. Read the above comments to learn more. I live in Tasmania and buy local milk “Ashgrove”. I do this to support our local farmers and I buy organic milk as well because I do believe it is better for my health. I never buy private label products.